Sustaining the no longer valid image of western dominance / superiority (US and Europe) over the rest of the world in combination with wide majorities experiencing an every day realty that tells a different story results in a feeling of not being heard, alienation and loss of direction. 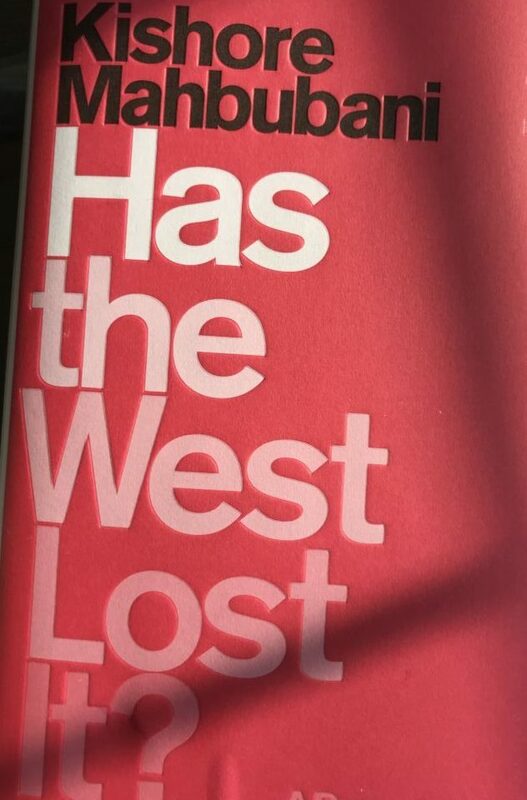 In his little booklet Kishore Mahbubani therefor urges the western world (in the interest of all) to move on and create a new and smarter perspectives that will inspire their younger generation. Leaving behind depressing statistics as this one: Only about 30% of millennials in the western world expect that they will be happier and better off than their parents. About our collective challenge to exchange our usual focus on sshort term individual interest for a more beneficial focus on longer term collective interests see also: Sustainable long term interests. For those interested in statistics showing worldwide improvements on a number of key quality of life aspects have look at Factfulness by Hans Rosling.